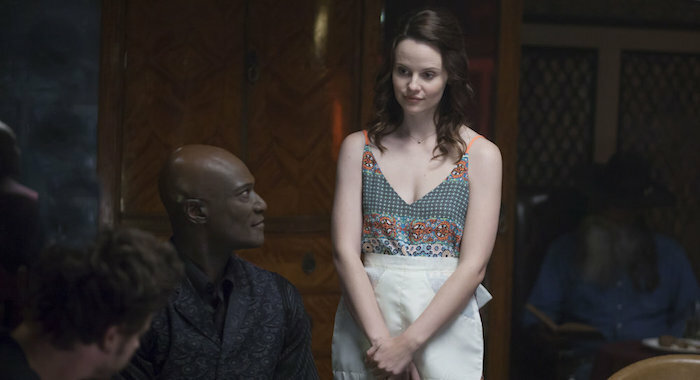 Sarah Ramos, Parisa Fitz-Henley and Peter Mensah also talk about NBC's new show based on Charlaine Harris's books. When HBO turned author Charlaine Harris’s Sookie Stackhouse novels into True Blood, it became the most outrageous vampire show on television. Now Harris’s Midnight, Texas novels are next, and while NBC can’t match the graphic content of HBO, they’ll find other ways to shock you. 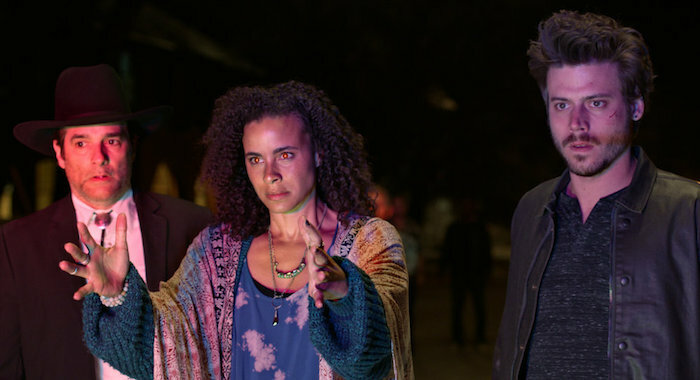 There are vampires in Midnight, Texas too, but also psychics, ghosts, witches, were-creatures, assassins, and much more. 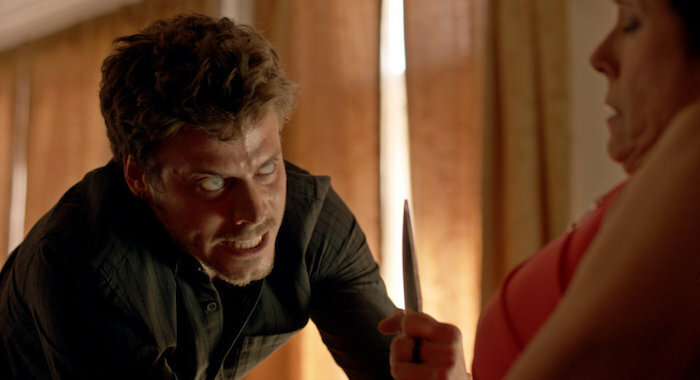 Manfred Bernardo (Francois Arnaud) plays a psychic who’s a tad worn out from allowing hostile spirits use his body. He flees to Midnight, TX, where he meets all sorts of other creatures and the town’s human inhabitants. 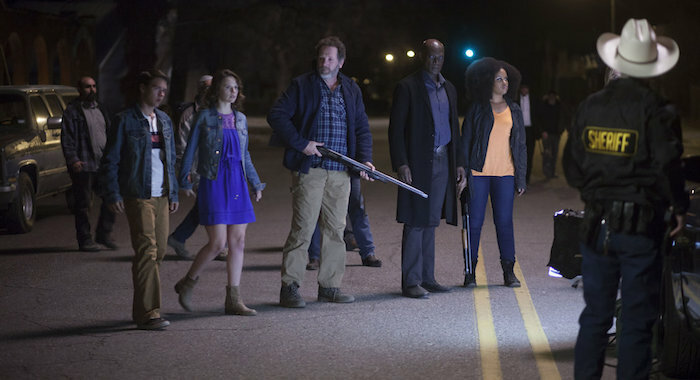 Arnaud and cast members Arielle Kebbel, Sarah Ramos, Dylan Bruce, Parisa Fitz-Henley, and Peter Mensah spoke with Rotten Tomatoes about Midnight, Texas, offering 10 things to know before you visit Charlaine Harris’s macabre town. Kebbel plays Olivia, a hit woman who partners with a 200-year-old vampire. More on him later. There are some visual effects for the spirits, but when they take over Manfred, that’s Francois Arnaud playing the ghost wreaking havoc inside Manfred. 3. MIDNIGHTERS ARE COOL WITH SECRETS. 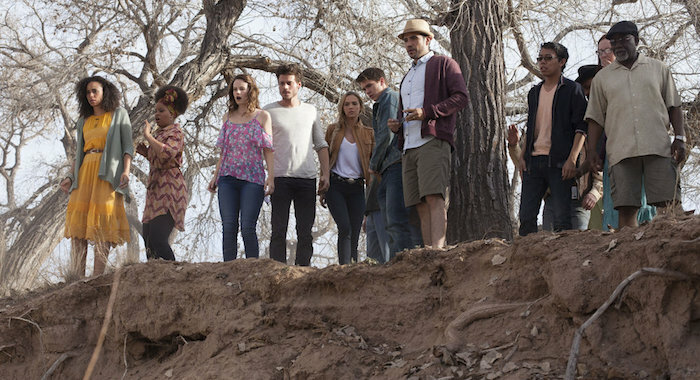 A lot of the citizens of Midnight, Texas have a past they don’t talk about, which makes it the perfect community for outcasts. Bobo (Dylan Bruce), for example, arrived after 16 years on the run. Creek (Ramos) didn’t have a choice in moving to Midnight. 4. VAMPIRES LEECH MORE THAN BLOOD IN MIDNIGHT. Lemuel Bridger (Mensah), or Lem to his friends, is Olivia’s vampire partner. Harris came up with a whole new set of vampire rules for Midnight, Texas, including the ability to leech energy instead of blood. That rough past Kebbel described makes Lem a necessity. So how often does Lem have to leech so he doesn’t get, er, thirsty? 5. WITCHES GOTTA PAY THE BILLS TOO. The magic shop in Midnight, Texas has more powerful goods than Neeful Things. 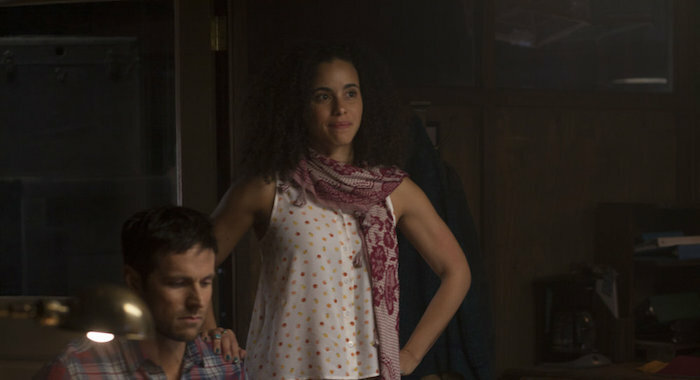 Fitz-Henley plays Fiji Cavanagh, the witch who runs the store. 6. MOST VISITORS ARE DANGEROUS. Midnight welcomes outsiders as residents, but they find that most of the forces just passing through are a threat to them. 7. THE CHARACTERS LOOK DIFFERENT THAN YOU IMAGINED. This is true of every adaptation, even Game of Thrones. The cast plays the characters faithfully, with some physical compromises. In some cases, even the actor fought for more authenticity. Fitz-Henley may not look like a woman struggling with her weight, as Harris describes Fiji, but she can embody the universal struggle with self-image. 8. CREEK IS HERE TO STAY. Ramos gave Creek a different characterization than Harris. Described as timid in the books, Ramos says she gave her more of a sardonic sense of humor. That will also make her a longer-lasting character, as Ramos intends to stay on Midnight, Texas as long as she can. Creek has a reason to stay in Midnight, for now. 9. BIG THINGS GO DOWN IN EPISODE EIGHT. The first season of Midnight, Texas is 10 episodes. Kebbel promises the last three are massive, beginning in episode eight. 10. MANFRED AND CREEK MAY BE MEANT TO BE. When Manfred comes to Midnight, he and Creek have a healthy flirtation. She has no powers, but a medium may be the closest thing to a human she’s got in a town like this. In Speed they said relationships based on intense circumstances never work out. That doesn’t stop lovers from trying. Midnight, Texas premieres July 24 on NBC.